Download ‘Headline Headaches’ to have your pupils use their imaginations to invent the story behind these headlines. 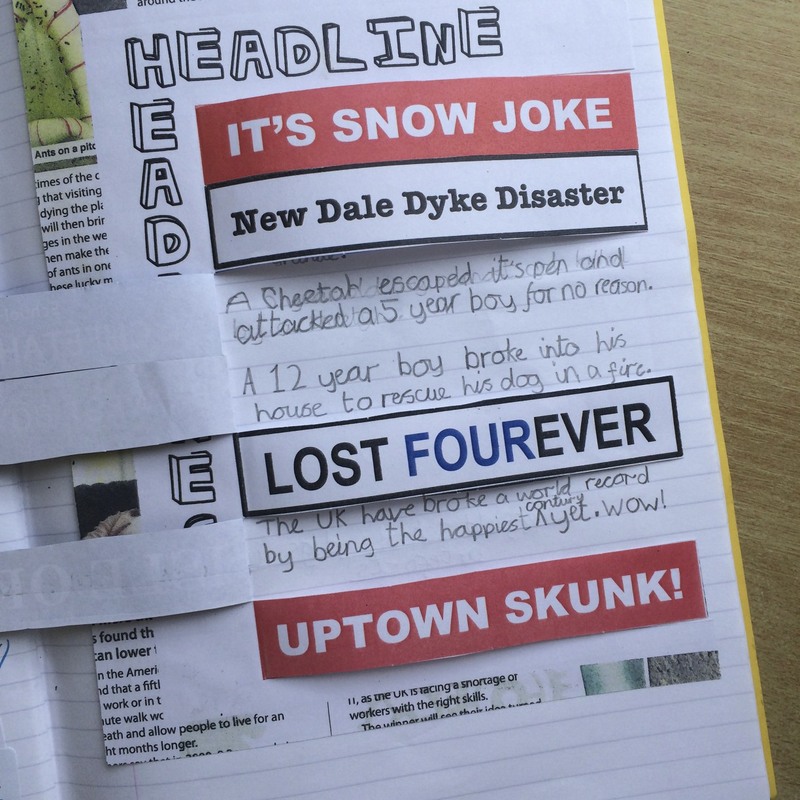 My class loved the secrecy of hiding their stories behind each flap and used success in this lesson to help them create their own clever headlines in their later work. 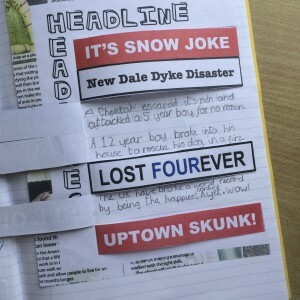 The ‘New Dale Dyke Disaster’ headline was specific to our school so has been replaced by a more generic example. Headline Headaches Click link to the left to download the PDF file!